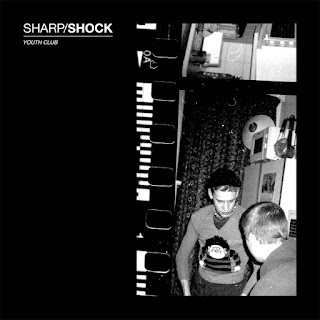 Sharp/Shock’s name could not be a more accurate indicator of their relentlessly melodic, delightfully explosive sound. 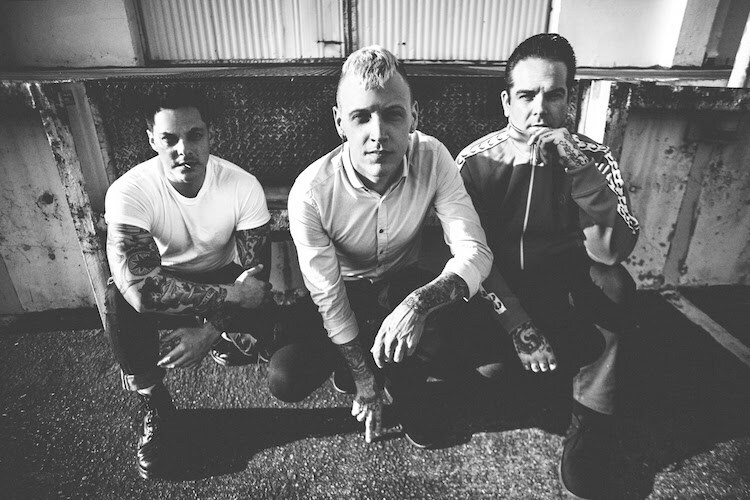 The punk power trio—comprised of Davey Warsop (Beat Union, Suedehead), Dan Smith (The Dear & Departed; world-renowned tattoo artist) and Jared Shavelson (The Hope Conspiracy, Paint It Black)—is back with the announcement of their sophomore album "Youth Club". "Years before making it to LA with my first record deal, I had worked in a brush factory near Birmingham, England," Warsop says of the song’s inspiration. "It was a pretty uninspiring place to spend your days. ‘Bad Lad’ was actually inspired by a few of my coworkers—there were some real nutters in that place." Sharp/Shock is a band that was brought together by serendipity and stayed together thanks to a reverence for British and American subculture. Singer/guitarist Davey Warsop and bassist/vocalist Dan Smith are both UK exports, but they didn’t cross paths until they were both transplanted to California. Jared Shavelson, a jazz-trained drummer hailing from New Jersey, would end up completing the trio perfectly. Despite their dissimilar geographical beginnings, they quickly realized they were all very much from the same place. From the deeply analytical lyrics of "Nuclear Family", that cut like a knife, to the unrepentant honesty of "Bad Lad", Sharp/Shock are exactly what you would expect from musicians who were born and bred on The Jam and Stiff Little Fingers—but they've still got plenty of surprises in store. Youth Club as a whole is the sound of a trio finding their footing, a flex of their now-seasoned partnership. With Warsop stepping in as producer (he has previously served behind the board for Green Day, Foo Fighters, Bad Religion, and more), Sharp/Shock’s sound is more streamlined than ever. Check out the video for their first single, "Bad Lad," via Music & Riots right HERE. "Youth Club", is due on May 25th 2018 via Matt Skiba’s Heart & Skull Records—pre-orders are available HERE. Catch Sharp/Shock on the road with Against Me! and Chris Farren next month, from the list of dates below!